Are looking to grow your own orange orchard? The best fruit is that which you pick freshly out of your own garden. Unfortunately, citrus trees don’t thrive everywhere; citrus trees are best when grown in hotter climates. 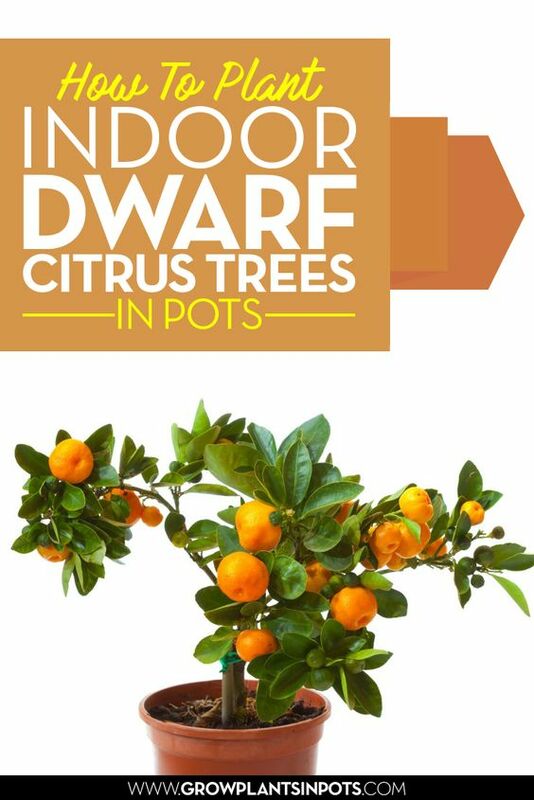 However, if you want to, you can plant dwarf citrus trees in pots indoors. Choose Your Citrus Plant: At their normal sizes, you can’t grow citrus trees indoors. However, you can try raising their smaller, or ‘dwarf’ versions. Some types of dwarf orange plants include the Calamondin, Trovita and Buddha’s Hand. You can also try Kaffir or Bearss lime trees, or Improved Meyer lemon trees. Among these trees, the Calamondin orange and Improved Meyer lemon trees are the most well-suited to colder areas. 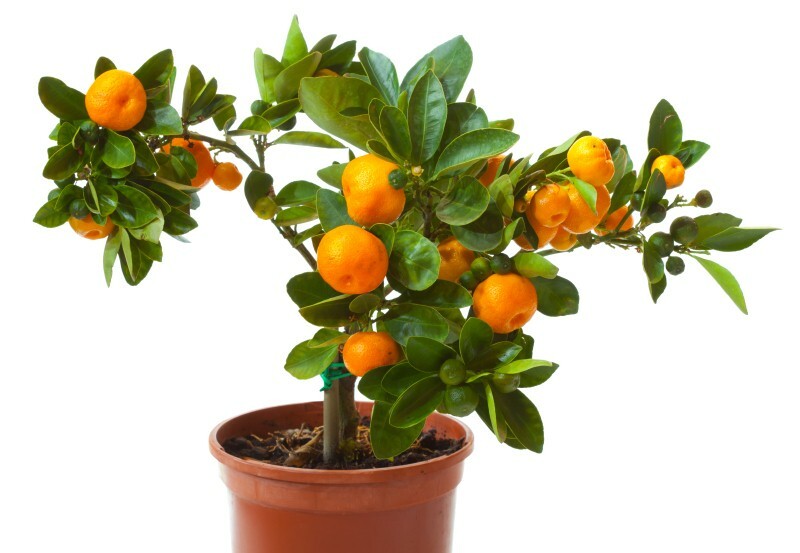 You might also want to consider growing a kumquat dwarf tree in containers. Many gardeners consider this one of the best indoor fruit plants, since it doesn't need a lot of sunlight to bloom. Prepare your pot: Wooden, plastic, and clay pots are best for growing dwarf citrus plants. Make sure to add a drainage hole at the bottom, to keep water from accumulating. You need not use big containers right away, when you’re growing dwarf trees in pots. If your tree is still young, don’t transfer it to a bigger pot just yet, so you can control the moisture level of the soil in which you’re growing it. Otherwise, excessive levels of water in an over-sized pot may degrade the root quality of the plant. Plant new dwarf citrus trees in pots with eight-inch diameters. Once they hit two or three years, move them to 12-inch diameter pots, and eventually move them to 20-inch ones. Choose light soil: Dwarf citrus plants are best when grown in lighter soil, because it allows proper drainage. Sticky and heavy soil types often hold moisture within, keeping the water from leaving. Try to avoid potting soil as much as possible, as they often lack nutrients and are too sticky. Potting mixes, however, tend to be lighter. However, if your soil still is too thick and sticky, you can stick some wood chips into it. Water and fertilize properly: Dwarf citrus trees in pots don’t need to be watered often. However, you need to water them deeply, once or twice a week. When about six inches of your soil is dry, then you can water your plant. You can also tell whether you have been watering your dwarf citrus tree properly, based on the appearance and reaction of the leaves. Wilting leaves that rise after watering show a lack of water, while yellow leaves that do not rise after watering show an excess of water. As for fertilizers, the slow release types are best for indoor dwarf citrus plants. Maintain your tree: Your indoor dwarf citrus plant also requires some maintenance, for proper growth. Prune off any unwanted growths, such as shoots coming from below the graft line, as well as thorns that may make it difficult to handle your plant. Dwarf citrus trees in pots give you the same quality of fruit as their larger cousins, while allowing the convenience of indoor growing. With the right amount of care, you can keep your dwarf citrus plant healthy, and yielding that fresh and tasty fruit you've always wanted.